Native to: Yemen and southern Saudi Arabia. 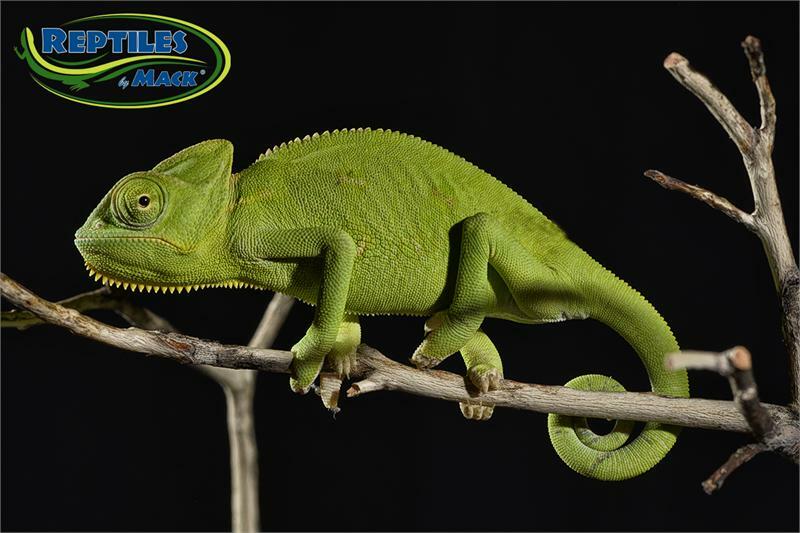 Veiled Chameleons are one of the most popular chameleon species in the reptile pet world. 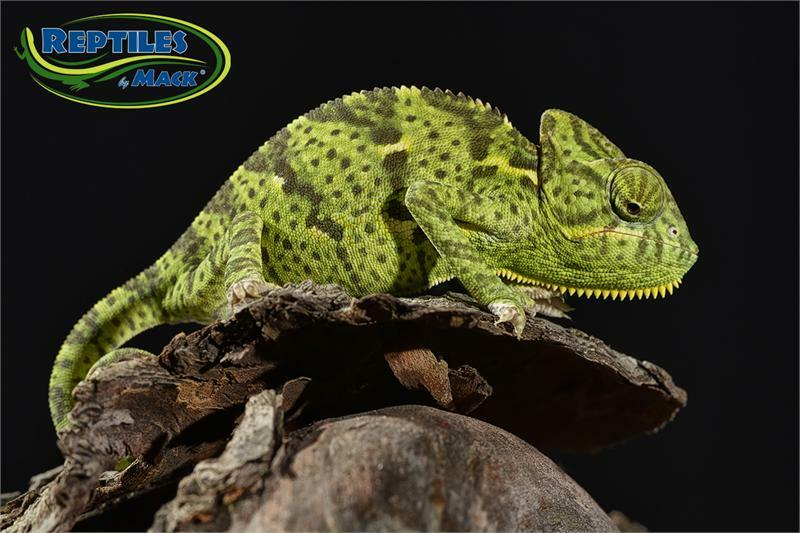 Veiled Chameleons are able to look in any direction without turning their heads or shifting their body because each eye can swivel nearly 180 degrees. 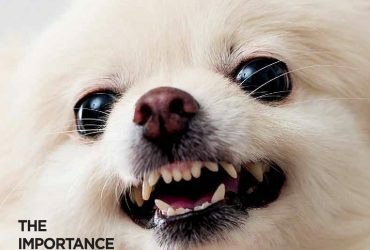 Their eyes can also point in two different directions at the same time. 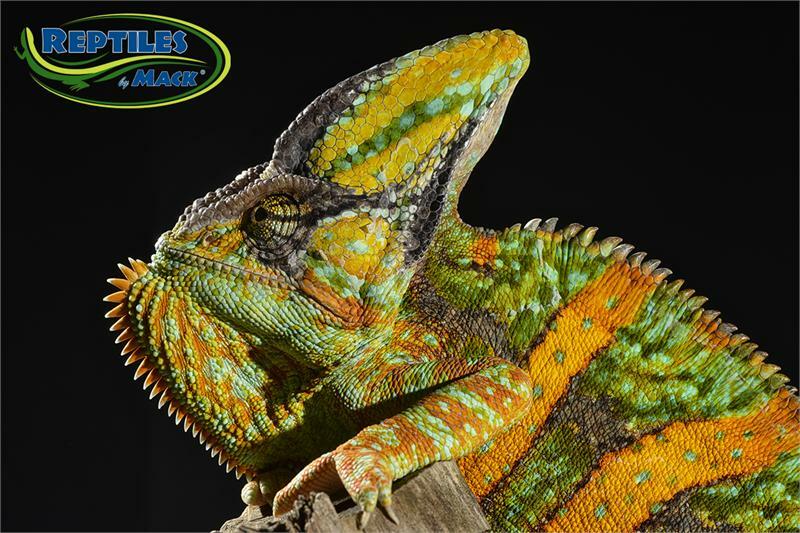 Veiled Chameleons are sensitive animals and are not a pet that tolerates handling well. 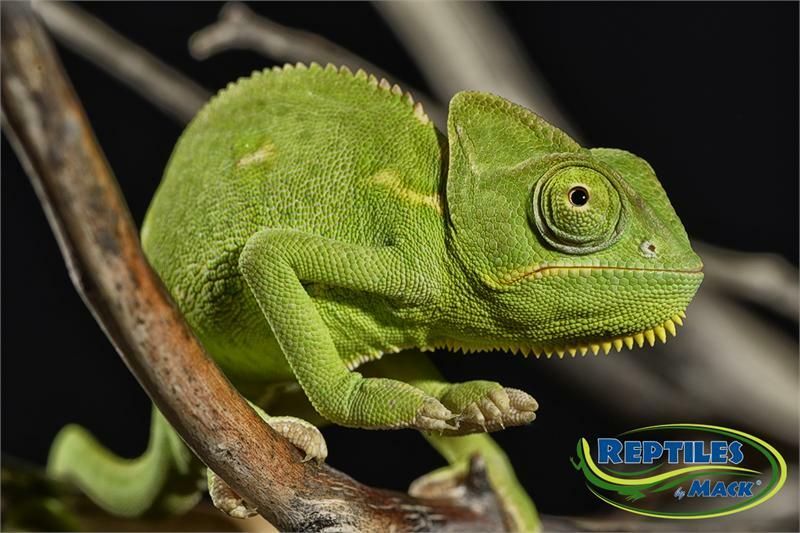 Enclosure: Provide a spacious screened enclosure for your Veiled Chameleon. An adult male needs more room to explore and should be housed in a cage that is 36 inches long by 36 inches wide by 48 inches tall. Females and young males can be kept in smaller enclosures. 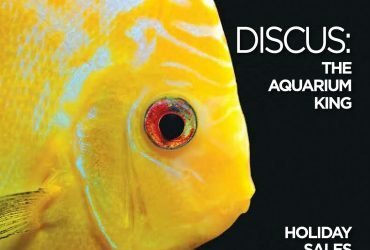 A longer enclosure will allow you to provide a warm end and a cooler end for your animal’s well-being. 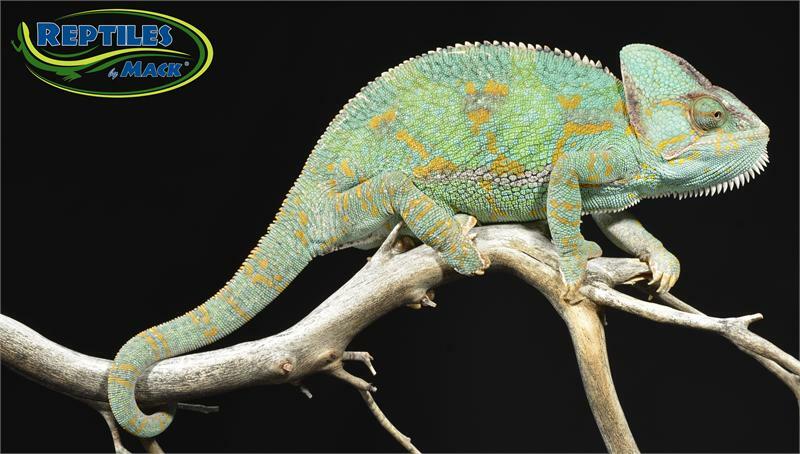 The more room you provide for your Veiled Chameleon the better. 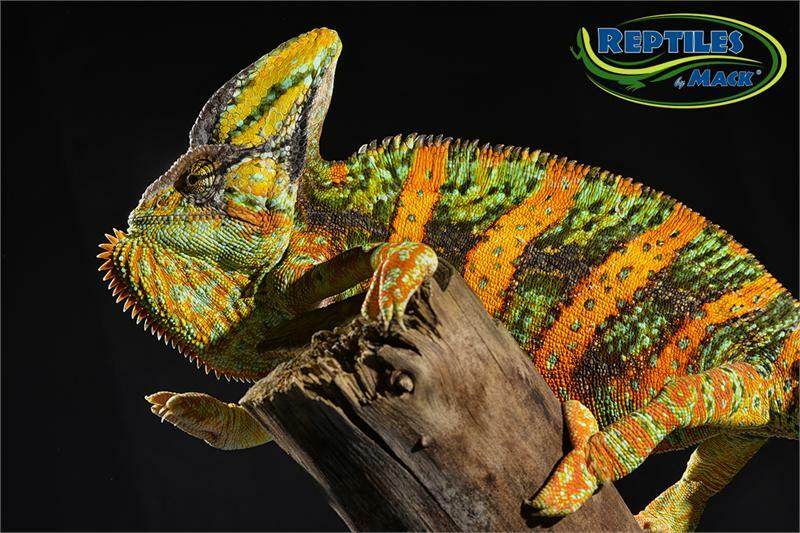 Do not house more than one chameleon together. 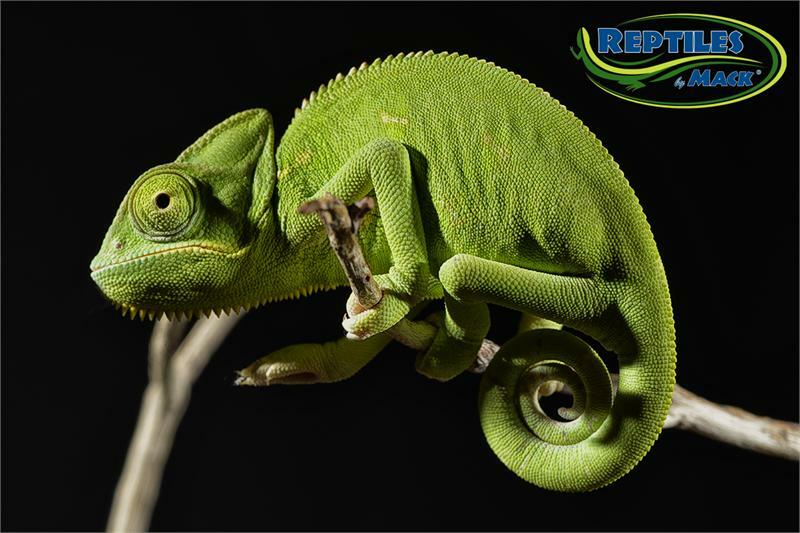 Chameleons are very territorial and stress easily. Substrate: No specific substrate is needed but coconut fiber or potting soil with no added chemicals or perlit work well. 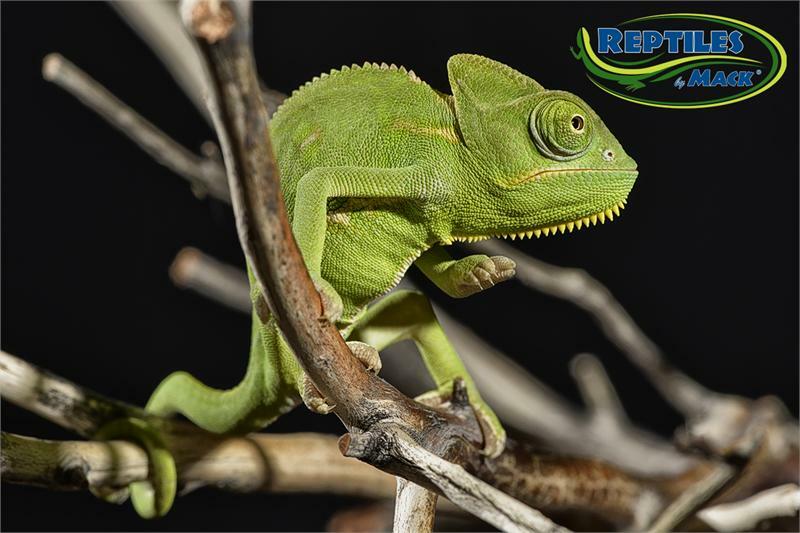 Habitat: Provide branches and plants (live or fake) for the Veiled Chameleon to climb on. Create a dense area of non-toxic plants on one side for hiding and on the other side create a more open exposed area of branches for basking. Temperature and Lighting: Keep the enclosure 100° F on the warmer end and 70° F at the cool end. Use a UVB-emitting bulb and/or a ceramic heater as primary heat source. 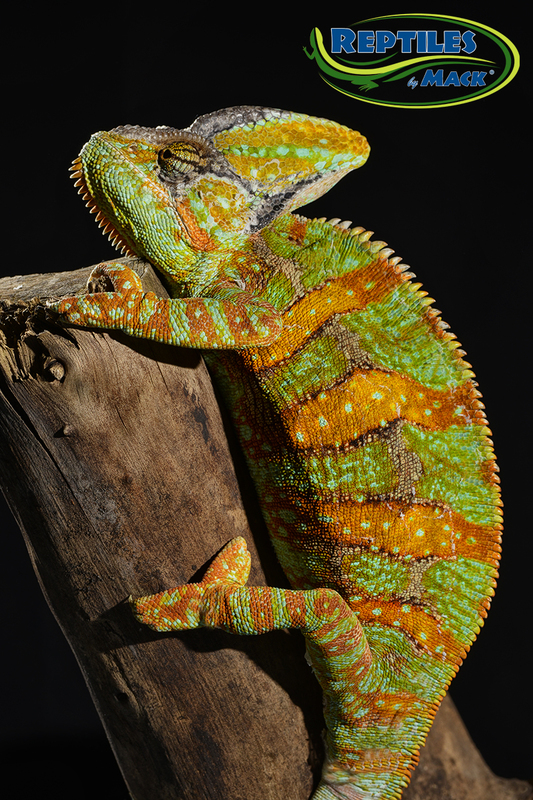 Provide 10-12 hours of UVB rays and a ceramic heater for a basking area all day and night. 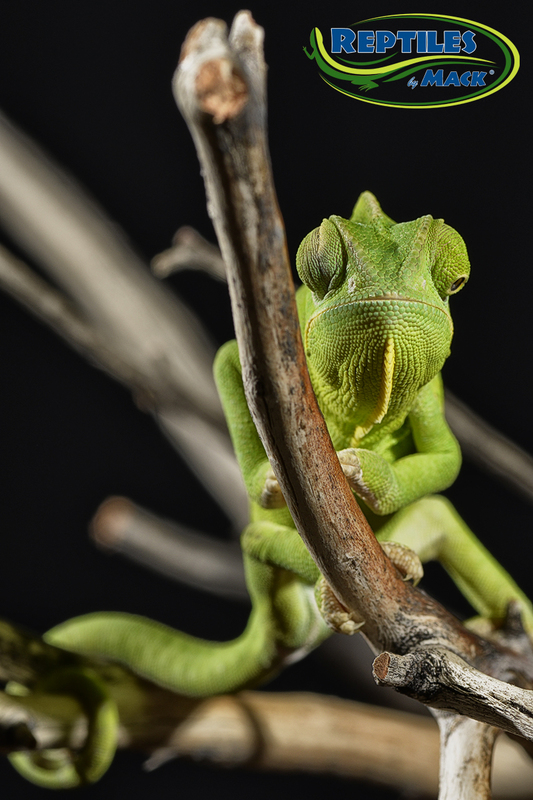 Food and Water: Feed baby Veiled Chameleons a once or twice a day and adults every other day. 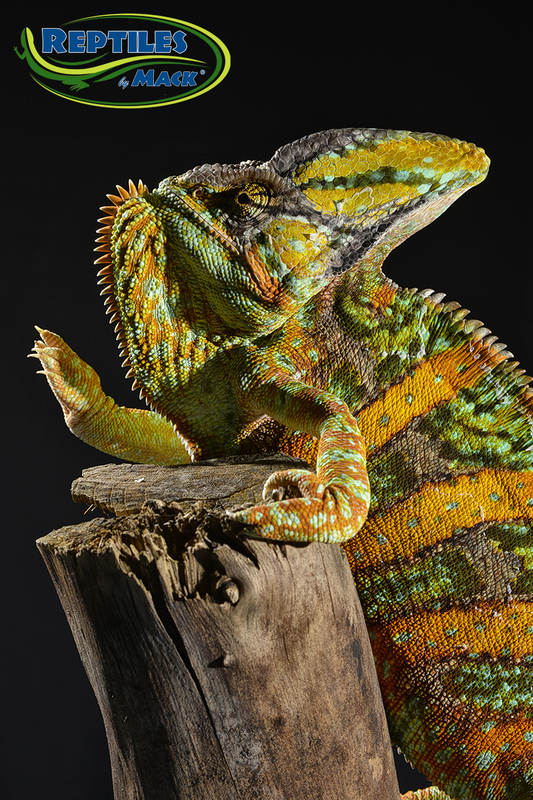 Veiled Chameleons eat a variety of live insects, including crickets, mealworms, and waxworms. Dust the insects with a vitamin and calcium supplement mixture once or twice a week. 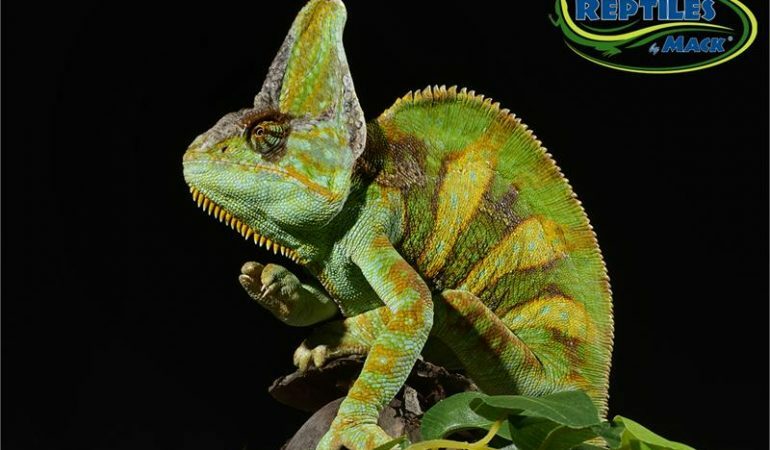 Also feed your Veiled Chameleon some collard greens. They will also eat Pothos ivy and ficus leaves. 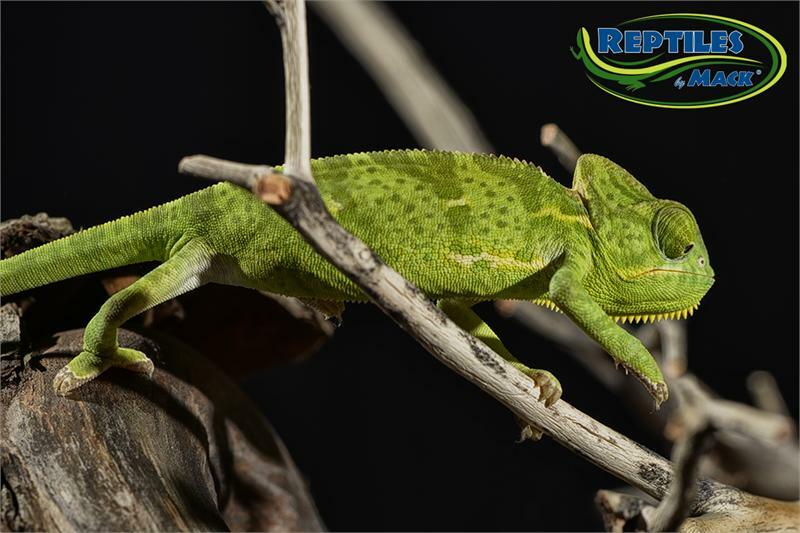 Veiled Chameleons prefer to eat insects that are small. 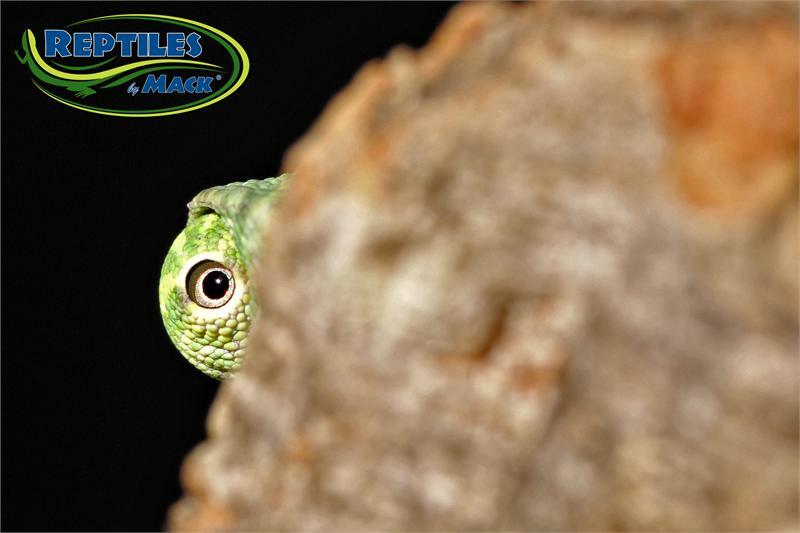 It is better to offer them multiple meals of small crickets/small mealworms than to feed them one meal of large insects. 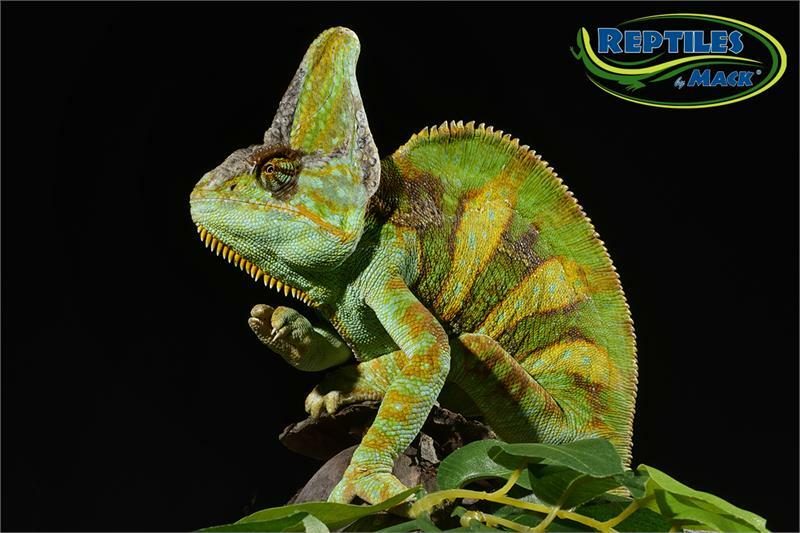 They will not usually drink from water bowls, so it is best to mist their enclosure once or twice a day to allow the chameleon to drink moisture off the leaves and branches.